Arenosa is small village located 45 miles from Panama City on the western end of Lake Gatun. The lake is 85 feet above sea level and was created by dams built during the construction of the Panama Canal. It covers about 160 square miles and supplies over 52 million gallons of water for each ship that passes through the Panama Canal as well as potable water to the approximately 2 million people in Panama City and the surrounding areas. 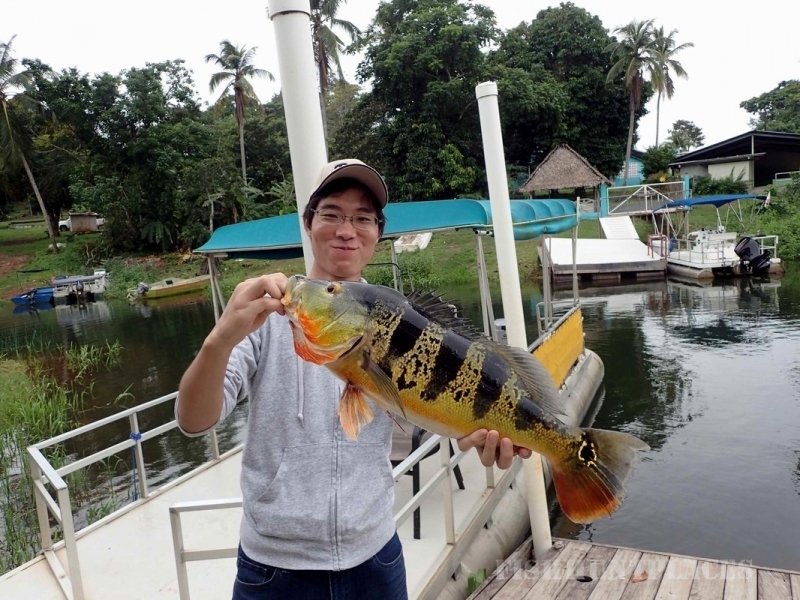 The land surrounding the lake and the hundreds of small islands are filled with tropical wildlife and fauna. Peacock Bass are in great abundance with Tarpon and Snook also found from time to time. Fishing is fantastic. Whether you are a fisherman or someone that just likes to get out on the water and sight see, this is a great location. I have a 28 foot pontoon boat that I rent to Armando Torres, one of the local guides, to take people out when a group wants or needs something more comfortable than a bench seat in a Jon boat all day. The rated capacity of the 28 ft. pontoon boat is ten people but I do limit fishing parties to six people or less so they can fish off the pontoon in comfort. There are comfortable chairs for all and even a stereo Radio/USB/MP3 system under a 13 X 8 foot canopy for the sun with side curtains in case of a heavy rain. (Bring your own USB Stick or MP3 player if you like.) 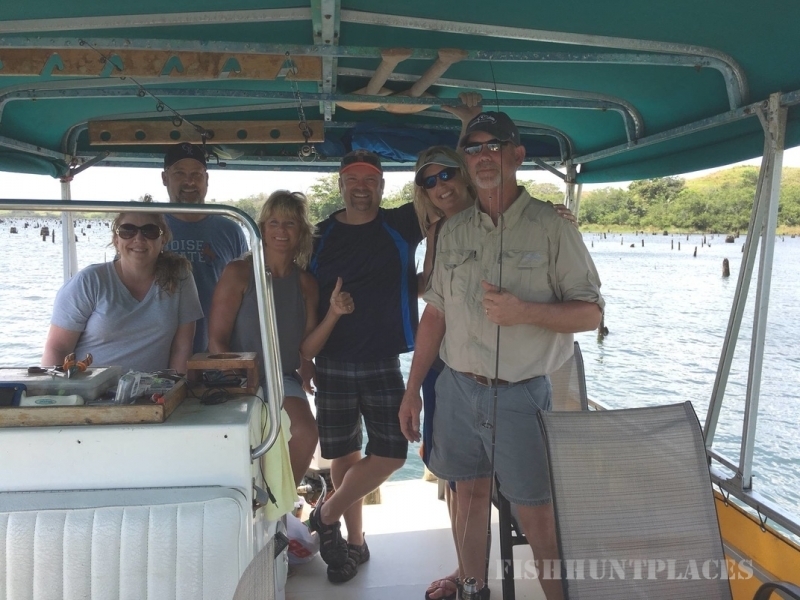 Fishing trips on the pontoon boat are charters that include the boat, fuel and guide. 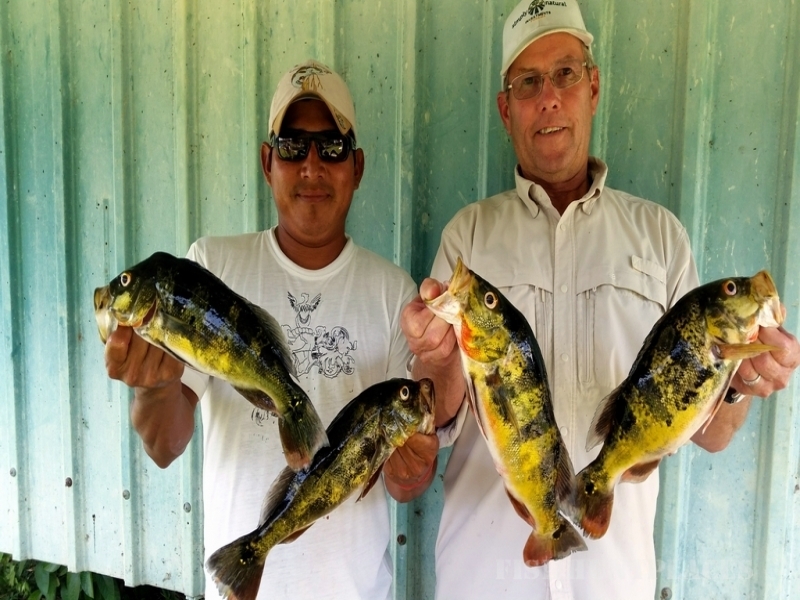 Minnows are the preferred bait for Peacock Bass and the guide orders those from the local boys here in Arenosa. 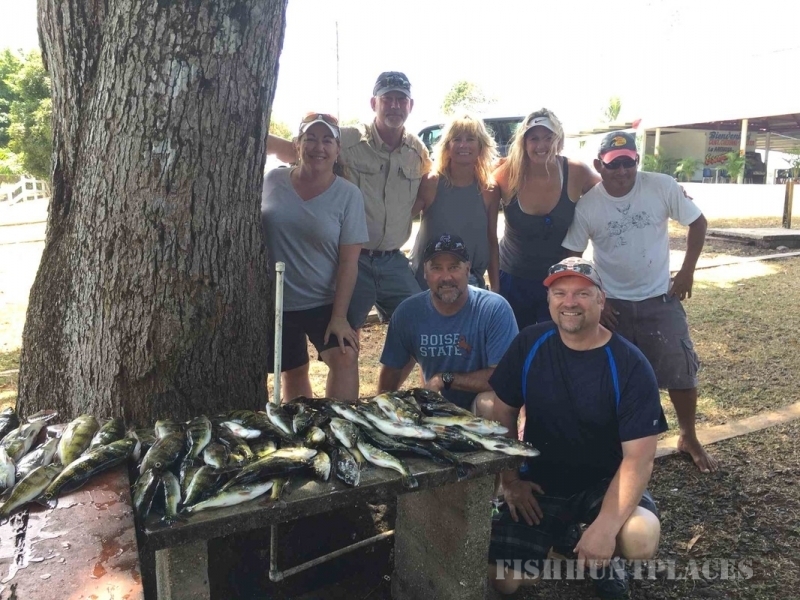 We recommend 200 minnows for 2 fishermen, 300 for 3 fishermen and 400 for 6 fishermen. You can bring your own tackle if you like. If you don't bring your own tackle we have light spinning rods and reels and tackle available at an additional cost. For a complete listing of prices, please click on"Charter Rates" here or in the menu. If you don’t have a cooler there are also coolers on board for your use. The only other costs involved, besides food and drinks, would be for filleting fish and a tip for the guide. Besides my pontoon boat there are several local guides that take people fishing in small (14 to 18 foot) aluminum Jon boats for $80 - $100 a day, if you have your own rods, reels and tackle.